Cold and flu season is upon us. I hate being sick and even worse, I hate seeing my daughter sick. I feel so helpless! But you can get prepared for those nasty bugs ahead of time so if/when you or a family member gets ill, you'll be set and better able to manage the situation! Along with the standard list of tissues, medicines, all homes should have a good thermometer. Having a good thermometer is essential especially during the cold and flu season. 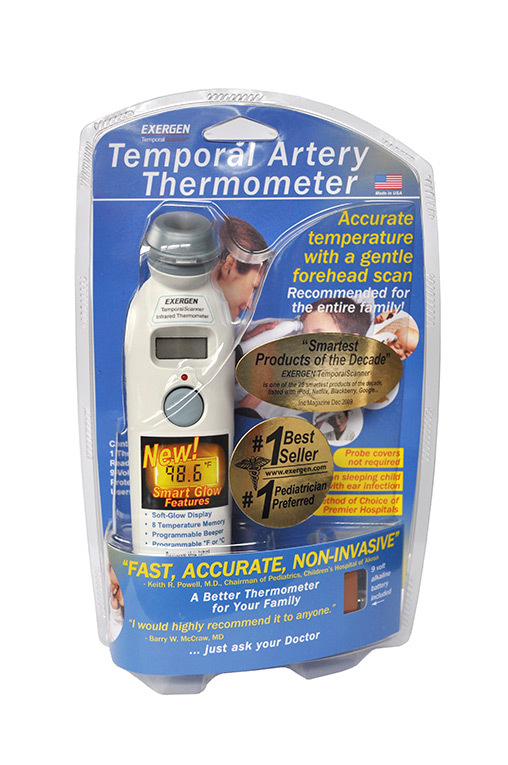 You will need to be able to measure a temperature accurately and easily. 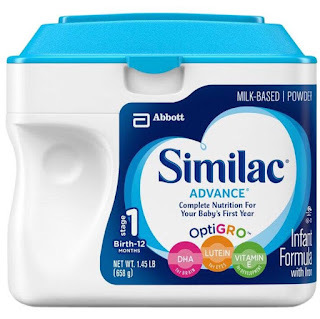 There are many brands and types on the market but most are either hard to use or require waking up a sick, sleeping child. When Exergen approached me to see if I wanted to try out their Smart Glow TemporalScanner, I got excited. The thermometer we had in our home was one that you stuck in your ear to measure temperature. It was also not very accurate and required special tips for the end and without a special disposable tip, it would not work. This added up money wise as you wanted to use a clean tip each time. The Exergen TemporalScanner was a rather new concept for me. There was no putting in it your ear or your mouth. You just slid it across your forehead and got a reading. Ironically I ended up extremely sick not too long after receiving the Exergen. 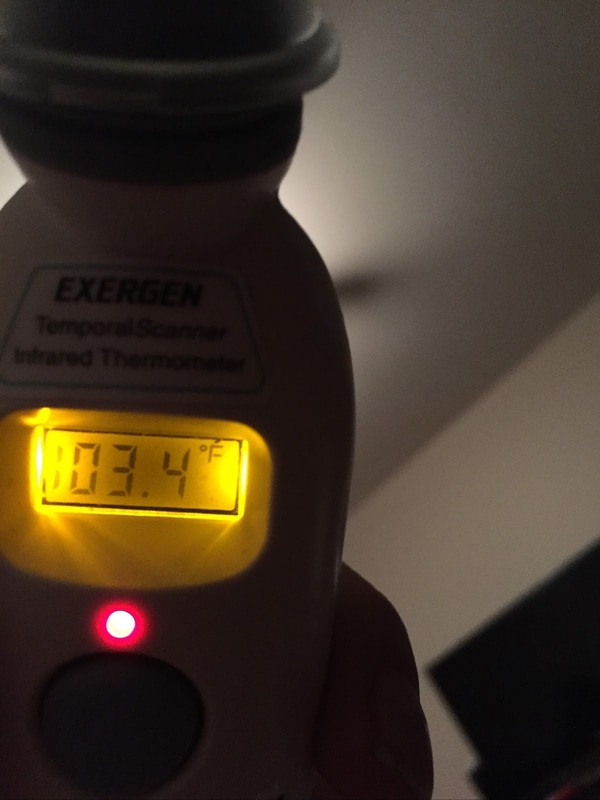 I had temperatures of over 103 degrees and a severe sore throat. Turns out I had strep throat. While I certainly did not enjoy being sick, I did take comfort knowing that I had an easy and accurate thermometer in my home. The Exergen was great especially in the middle of the night. I didn't need to turn on the light to read the screen. The Smart Glow feature is genius! I would highly recommend the Exergen Smart Glow TemporalScanner for any and all households. Buy one now before those nasty cold and flu bugs hit your home! Find out for yourself why it's the number one preferred thermometer by both nurses and pediatricians. 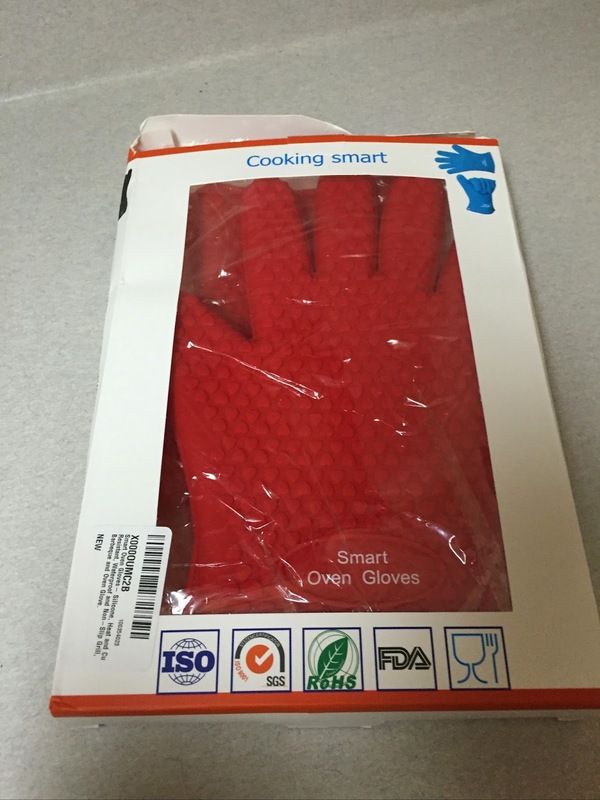 Buy it: The Exergen suggested retail price is $49.99 and can be found at Walmart, Costco, Target and many other retailers. Exergen is currently having a sweepstakes as well. You can enter weekly for a chance to win a prize pack that includes an Exergen TemportalScanner, Stadium Blanket and Gift Card. Feel free to enter HERE. What are your cold and flu season essentials? ?